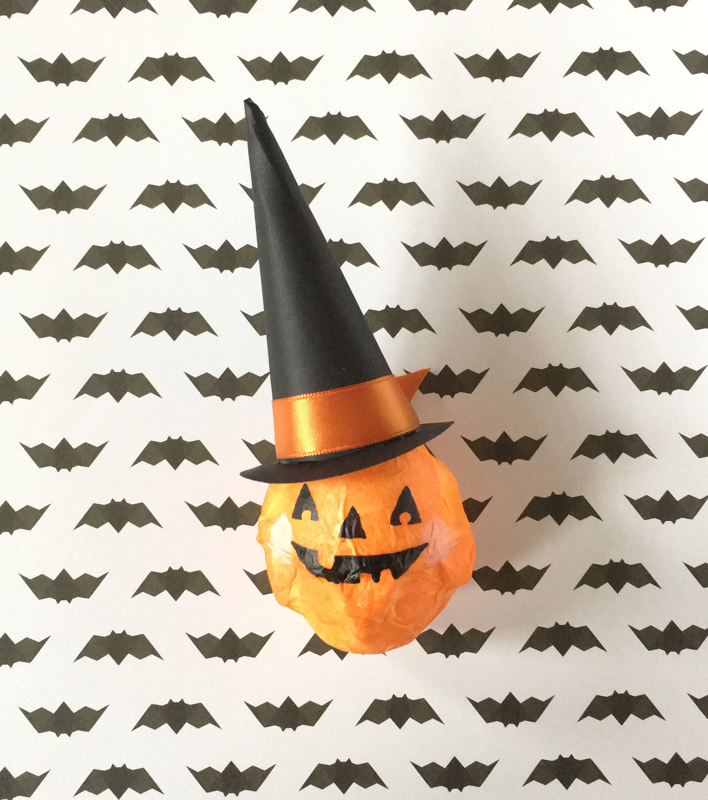 I just love some of the little creations out there that are made with egg cartons. Mine had lots of holes so instead of painting it I thought it would be fun to cover it with tissue paper kinda like papier mache-ing. Here's a little jack-o-lantern I made using two egg carton cups, some tissue paper and cardstock paper. These would be so fun to fill with candy or small toys then let the kids break 'em open! 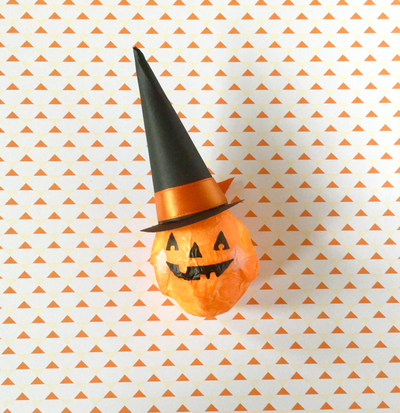 You might want to download my cone pattern if you'd like right below. Step 1. 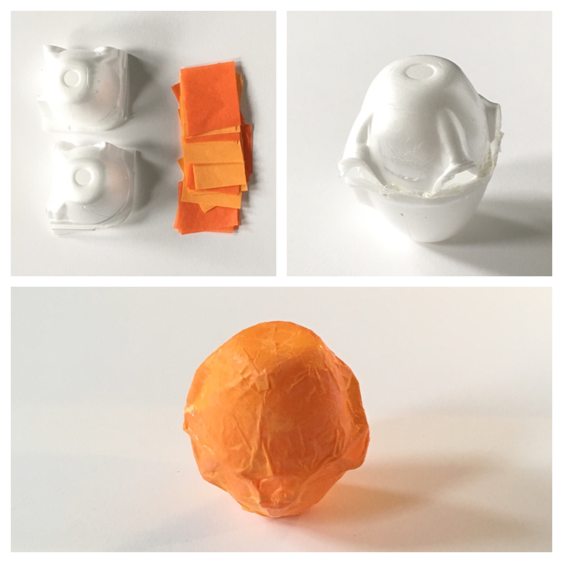 Cut two cups from your egg carton, then hot glue them together to form the "pumpkin" shape. 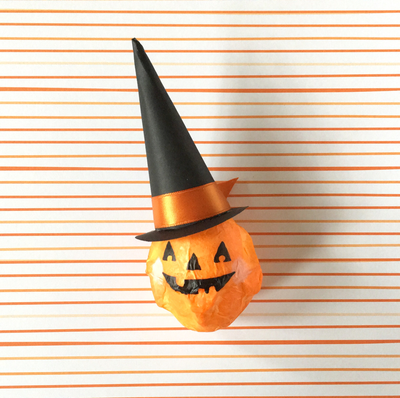 Cut 1" squares of orange tissue paper. Step 2. Trim any excess edges to sort of smooth out the shape of the pumpkin. Step 3. Pour some tacky glue in a cup and mix with a few drops of water. Apply the glue to the cups and place the tissue paper squares on top adding more glue as you go along. Step 4. 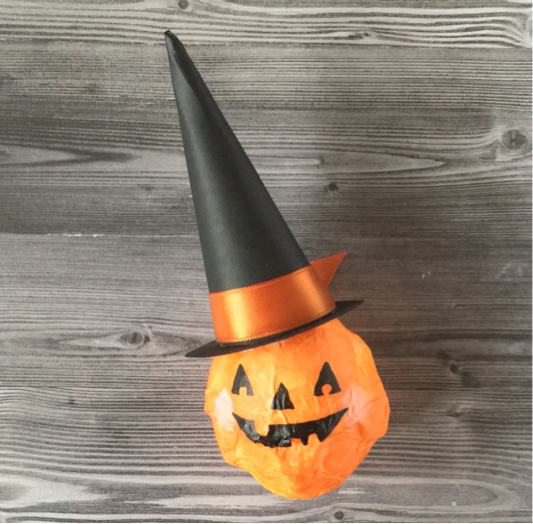 Allow your pumpkin to dry well. Then paint a face on with acrylic paint. Step 5. 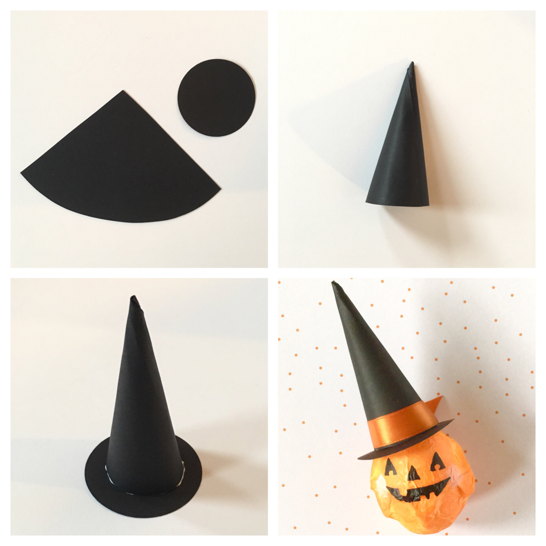 For the witches hat trace my cone pattern onto a piece of black paper, cut it out then roll it up to form the cone. Cut a small circle for the brim. Glue the cone to the brim of the hat. Step 6. 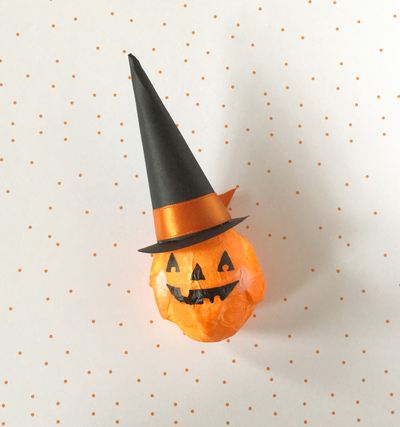 Glue the hat to the pumpkin head and add any additional embellishments you'd like.